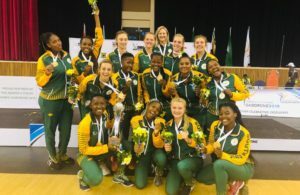 The South African women’s national team, Banyana Banyana, returned home from Ghana on Sunday, after they finished runners-up at the 13th African Women’s Cup of Nations, losing 4-3 on penalties to nine-time record-holder African Champions Nigeria in the final on Saturday evening. 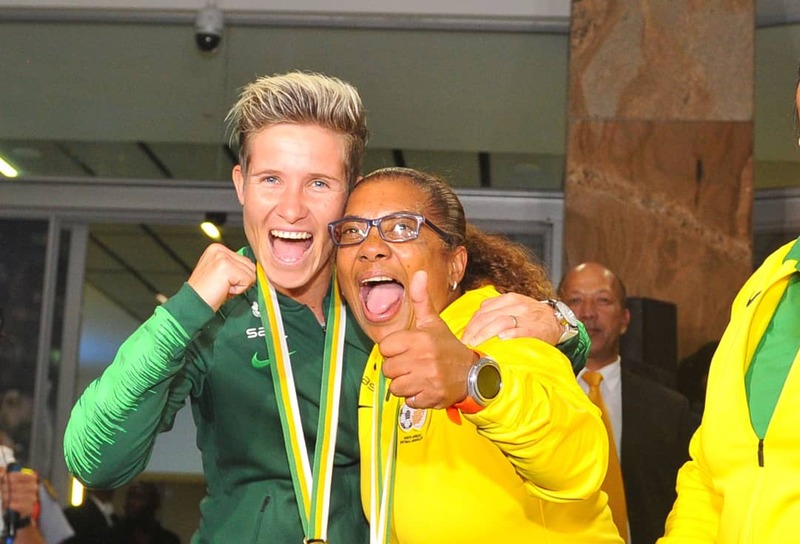 Banyana, clinching their silver medals, were given a rousing welcome at the OR Tambo International Airport by the many South African fans there to greet the team. Banyana have now also qualified for their maiden Fifa Women’s World Cup in France next year. The match started in typical fashion by the two teams, with Banyana Banyana keeping possession for long periods, while the physically imposing Nigerians tried to muscle their way through. Leandra Smeda was the first to have an attempt on goal, but her long-range effort sailed over the bar. Then Busisiwe Ndimeni saw her long-range shot tipped over the bar by the Nigerian keeper Oluehi Tochukwu as Banyana pressed forward. It was a tussle in the midfield, with both teams giving very little away. Nigeria could have taken the lead when they were awarded a penalty in the 75th minute after the referee adjudged that Kaylin Swart had committed a foul in the box, but Asat Oshoala’s tame effort went wide with the match remaining deadlocked. As the match went into extra time, both teams looked visibly fatigued. It was Banyana that fashioned the better scoring chances, with Thembi Kgatlana’s shot well-saved by Tochukwu. Banyana Banyana played some scintillating football throughout this Awcon tournament, but when the match went to penalty shootout, the Nigerians eventually prevailed. Banyana Banyana came out of the tournament with many achievements, some players receiving top tournament awards. Banyana forward Thembi Kgatlana received the award for the best player at the Total Women’s Africa Cup of Nations and was also awarded the top scorer award of the tournament after netting five goals in five matches. Banyana team captain Janine Van Wyk was named among the defenders of the tournament. 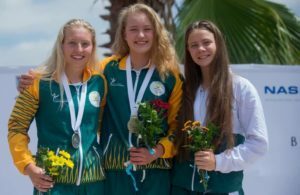 Kaylin Swart, together with Linda Motlhalo, were named for substitute awards. With Ellis becoming the first coach to lead Banyana to the World Cup, she also holds the record of winning the Cosafa Women’s Championship as both player and coach.